Forest fires are one of the biggest tragedies Portugal faces every year. Assuring the maximum security of firefighters while fighting the flames is of Lavoro’s main priorities. The brand from Guimarães has launched, in 2013, the line Fenix: boots especially indicated to minimize the risks associated with fighting forest fires and mitigate the cases where firefighters have put their physical integrity in risk by using inadequate professional footwear. The first version of this boot appeared in the summer of 2013, “after the death of several Portuguese firefighters, due to the lack of protection in forest fires, therefore authorities concluded the need of a higher requirements for the footwear”. The brand’s partnership with ADAI (Association for the Development of Industrial Aerodynamics), from University of Coimbra, and CEIF (Forest Fire Research Centre) have allowed the development of a model resistant to 500 degrees Celsius, approximate to the fires temperature. After the testing phase and with the main solutions and improvements incorporated, the prototype was tested by 10 elements of a few fire brigades during the summer of 2014. These tests have revealed that the boot had a good thermal performance and provided good integrity conditions for the user, even in extreme environments. Four years later, Fenix is protecting the feet and lives of over 10.000 Portuguese firefighters. Moreover, the brand is currently producing Fenix 2.0, which configures an evolution in several domains, from design to functional particularities. 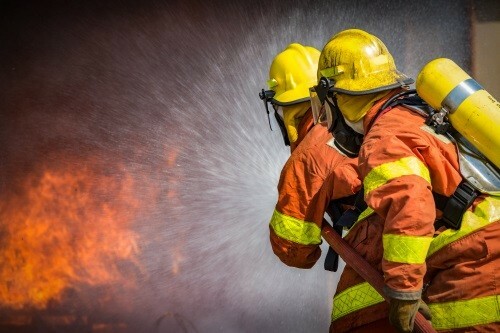 The incorporated innovations have considered the firefighters experience on the working environment. This new model is lighter and more comfortable.